Recently the University of Southern Mississippi purchased a brand new In Situ Ichthyoplankton Imaging System (ISIIS) for use as part of a research consortium known as CONCORDE (www.con-corde.org). The goal of the consortium, which involves many different universities and governmental organizations, is to better understand potential physical and biological pathways of oil in river-dominated coastal ecosystems, such as the northern Gulf of Mexico. Phyllosoma larvae are almost completely transparent and have remarkably long larval stages. This one is only ~2 cm long but could eventually develop into an adult lobster if it survives the perilous journey in the plankton. For more updates on the research being done on the Point Sur, please follow Heather Dippold’s CONCORDE blog at www.con-corde.org/blog. 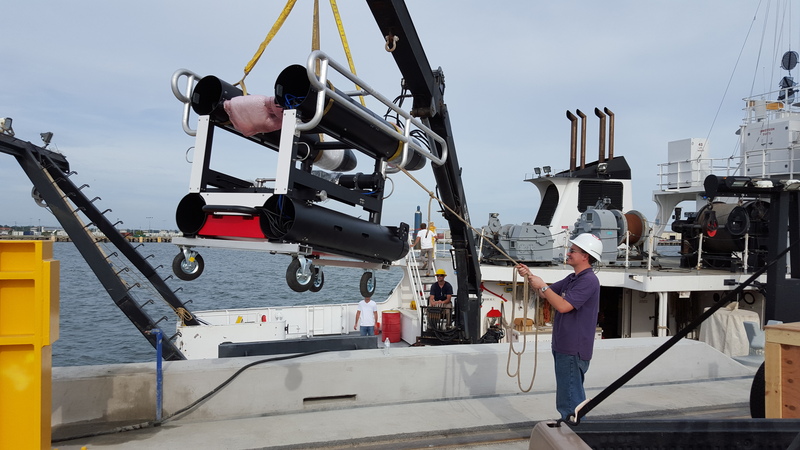 There you can see information about the different instruments and people involved in studying various aspects of oceanography in the Gulf of Mexico. Also, stay tuned here to see different types of plankton we are finding in the images! 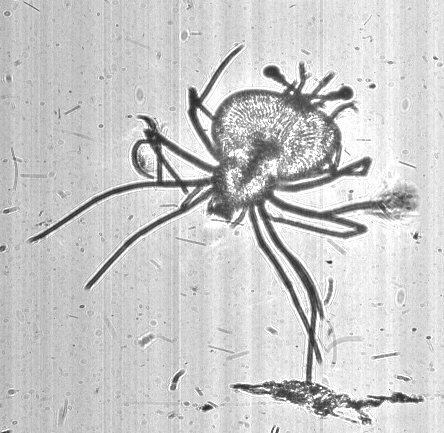 First thing when looking at an awesome image of larval lobster: scan background for overlooked copepods. That’s a sign you’ve been checking out the Plankton Portal a lot lately. LOVE that you’re imaging from the Gulf of Mexico, and can’t wait for updates. That phyllosoma its from Scyllarus genre, and the specie is probably Scyllarus americanus. That specie has a short larval period compared with the Panulirus lobsters, the larval period of the Scyllarus is about 25 days. Awesome tool to survey the ocean.